To protect plants and trees from frost damage, they need to be covered. So when the weather forecast is for overnight frost, it is advisable to be prepared. 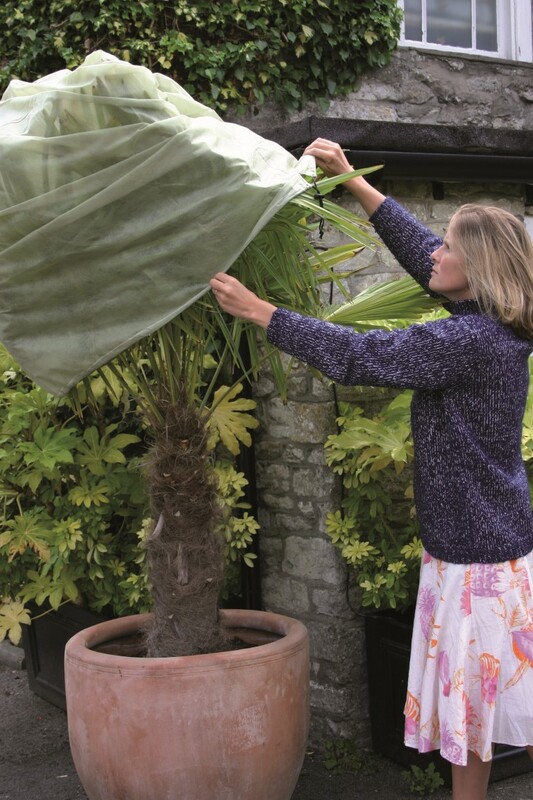 Haxnicks’ Easy Fleece Jackets are ideal for potted patio plants as you can easily pull them over the plants and draw the bottom together using the integral drawstring which closes off the air flow giving the plant its own microclimate. 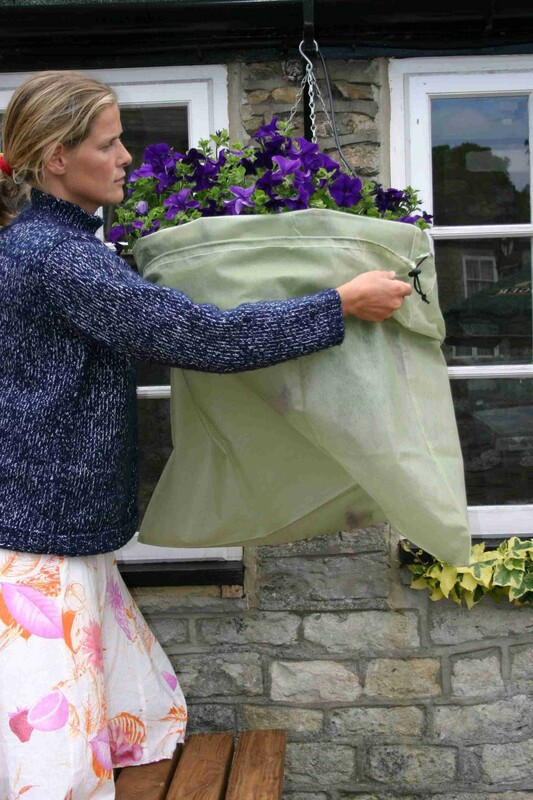 With a choice of 3 sizes the Easy Fleece Jackets are ideal for both large and small plants as well as for hanging baskets. Made from high quality 35gsm polypropylene fleece material, the jackets will protect your plants but also allow light and moisture to filter through to provide a healthy growing environment and the soft material does not cause harm to buds or leaves. Once the threat of frost is past, simply remove the Fleece Jackets, fold them and store them until the next time you hear the words “.....and tonight there will be an overnight frost”! This entry was posted in Grandpa Haxnicks and tagged Easy Fleece Jackets, container plants, Frost protection, Haxnicks, overnight frost on 21st November, 2012 by Haxnicks.